Food Empire is pleased to announce that Food Excellence Specialist Sdn. Bhd. 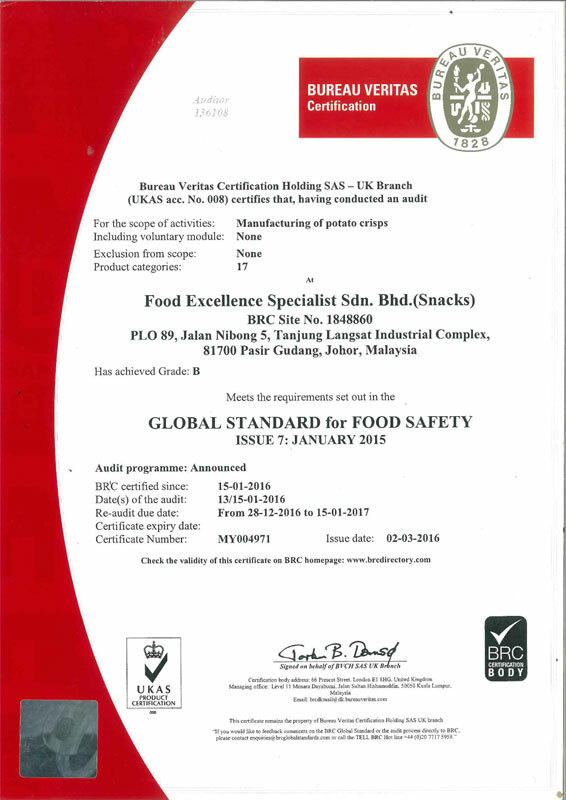 (FESSB), our snacks factory has achieved the British Retail Consortium (BRC) certification by the Bureau Veritas Certification Ltd (BVC). BRC is the leading trade association for UK retailing. This standard is recognized as a Global Food Safety Initiative (GFSI) and has been accepted by 8 major international retailers: Carrefour, Tesco, ICA, Metro, Migros, Ahold, Walmart and Delhaize. We will continue to work onwards certifications that allow our products to be widely accepted in global markets.